Win $200 just for clicking “LIKE”!!! Want to win $200 to spend in your favorite store? I’m looking for likes on my Facebook page and if the target of 800 likes is reached by August 19, one lucky person will win a $200 voucher for their favorite online store! It might seem like a big ask but with a couple hundred Facebook friends, 1000 Goodreads friends and almost 200 likes already, it is a target that can be very easily reached. And where else will you get a 1 in 800 chance to win $200 for simply liking a page? *** You can also gain an extra entry by subscribing to my author newsletter, giving you two total entries! Want more? Also “LIKE” the MER Facebook page as well giving you a possible THREE total entries! To enter, simply click on the Rafflecopter link below. A “LIKE” is all it takes. When the target is reached, every name will go into the draw to win. Note*** I have changed the rules a bit. My goal of hitting 800 LIKES was a little unrealistic in the time frame allotted. Therefore I am cutting everything in half. If I can reach just HALF that (and for all you non-math people…heehee, that would be 400 LIKES. )And we are so very close! So to sum it up, If my author page reaches 400 by August 19th, I will give away half the pot, equaling $100. The other hundred will be given away in a proceeding contest(which you will also be invited to) that will run through Christmas. Thanks for your support and please don’t hesitate to ask for my reciprocal LIKE or for anything else that might help you in your ventures, sharing, following, liking, etc. Have a nice week everyone and GOOD LUCK!!! MER: Three days of free! Plus Giveaway! WOOO HOOO! I am hosting another giveaway to celebrate MER: Three days of free! 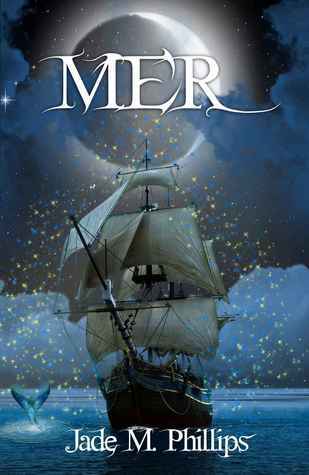 My young adult fantasy novel MER, (the first one in the MER series) will be FREE for three days on Amazon kindle. Haven’t had a chance to read it yet? Now’s your chance! Hurry, because the second book in the series is coming soon! To learn more about MER check out the MER tab at the top of this blog; watch the book trailer, read the blurb, or read a sample chapter! MER will be FREE on MARCH 6th, 7th, and 8th!!! Don’t have a kindle? No prob, you can get a kindle app for your PC, Mac, iPhone, iPad, BlackBerry, and Android phone here. Prefer a paperback? Just enter the rafflecopter contest below and have a chance at winning one of two AUTHOR SIGNED copies of MER, plus a chance to win a $25 AMAZON GIFT CARD!!! * After you read MER, a review on Amazon would be very much appreciated as MER is a brand spankin’ new series and would love the feedback! *LIKE MER on Facebook here. *Follow me on Goodreads here. *Add MER to your Goodreads To-Read Shelf here. *Give yourself a HUG for being so awesome and picking great literature to read!!! Thanks so much and good luck on the raffle!!! Valentine’s E-book Sale! Win a $25 Amazon Gift Card! Today’s hottest ebooks are on sale under $5 from Feb 14-16 only! … including the chance to win 1 of 4 $25 Amazon gift cards! Hit the link below for a chance to win! And I’m happy to announce that my highly anticipated young adult fantasy book, MER, will also be on sale for $2.99 (down from $4.99) during the sale! Check out the Indie Book Festival’s Valentine E-book Sale! Click on the link below to enter to win 1 of 4 $25 Amazon Gift Card!!! MER Book Release Extravanganza and Giveaway! THE TIME HAS COME LADIES AND GENTLEMEN! THE RELEASE OF MER! And in celebration we will be doing some MERtastic giveaways! GRAND PRIZE CONTEST WILL RUN FROM SUNDAY JAN 13th- THURSDAY JAN 17th! FACEBOOK GIVEAWAYS WILL BE THURSDAY JAN 17th ONLY! *2nd GRAND PRIZE $25 Amazon Giftcard. *3rd GRAND PRIZE $25 Starbucks Giftcard. *A chance to have your name (first, middle, or last) be featured as a character in the next book, tome #2 of the MER series+ an autographed copy of MER tome#1! *A total of (6) $10 Amazon gift cards will be given away throughout the day. 1. Comment on this post between Sunday Jan 13th – Thursday Jan 17th (leaving your name and e-mail address) to receive 1 entry for the GRAND PRIZES. 2. Purchase a book between Sunday Jan 13th – Thursday Jan 17th and receive 5 entries for each copy purchased! Go here for kindle or here for a print book to be sent to you, forward the receipt to authorjadephillips@gmail.com with your name and contact info. 3. Go to MER’s Facebook page here between Sunday Jan 13th – Thursday Jan 17th and LIKE it ( if you haven’t already) to receive 1 entry. 4. Watch the MER booktrailer here on YouTube, then comment with your name and email address and like (on youtube) and then share it on Facebook to receive 5 entries! Or just watch it below and comment to earn 1 entry! *You will have 5 days to get in your GRAND PRIZE entries. The entries will only be given from Sunday Jan 13th – Thursday Jan 17th. They will not count if done before or after. Now if you haven’t quite got it yet (HaHa!) the contest runs from 1/13/13 through 1/17/13, where it will end with a bang with the Facebook event on the last day! Winners will be announced on Friday Jan 18th. Balloons, party hat, and wine glasses not included. Thank you so much and good luck! And may the power of MER be with you!! Purchase Unfortunate Souls (Book1) now! You want to read me? Awww shucks. If you were a book I'd read you too! Purchase Rogue Souls (Book 2) now! Like MER on Facebook! The more “LIKES” the more sneak peeks we will reveal! What’s Jade reading right now? Love it or hate it, I promise to always be me.